The Nephilim were on the earth in those days – and also afterward – when the sons of God went in to the daughters of man, who bore children to them. These were the heroes that were of old, warriors of renown. The traditional definition of Nephilim is giant. Some dictionaries describe the Nephilim as being giants who also possess superhuman strength. The Greek Septuagint, an ancient translation of the Hebrew Bible, refers to them as gigantes, which actually means “earth-born“, a concept we will be coming back to as we continue. It is believed that the word Nephilim comes from the root word “Naphal” which means to fall. In biblical circles, this definition has quickly put the Nephilim into the role of the children of the fallen angels. 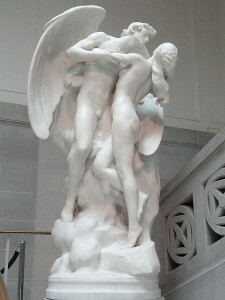 The word Naphal, however, is never directly associated with the concept of fallen angels. Its meaning in context is more closely related to the idea of lying prostrate or of prostrating oneself. There are also ties in this word to the concept of failure, falling short or being cast down. Over the years a mythos has developed around the concept of the Nephilim. It alleges that these giants were the offspring of the “Sons of God” and the “Daughters of Man”. 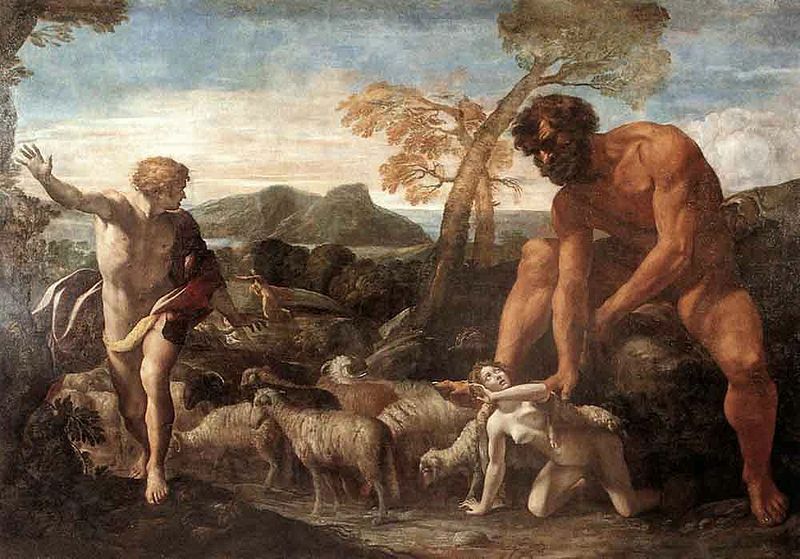 Are the Nephilim the children of the untoward relationship? The connection between the biblical text and this claim, although commonly pointed to as the basis of this belief, is unfounded. The document in which we find statements that support this claim actually comes from the apocryphal Book of Jubilees. And it came to pass when the children of men began to multiply on the face of the earth and daughters were born unto them, that the angels of God saw them on a certain year of this jubilee, that they were beautiful to look upon; and they took themselves wives of all whom they chose, and they bare unto them sons and they were giants. Is the claim that the Nephilim were the offspring of the sons of God and the daughters of men supported by sources outside the Judeo-Christian tradition? In other words, does mythology worldwide support this belief? The notion of giants roaming the Earth can be found in cultures worldwide. Greek mythology tells us that the Titan Cronos castrated his father Uranus to gain control of the Greek pantheon. It is from the blood of the castrated Uranus that fell upon the earth that the giants, the “earth-born”, were created. The Earth-born were, when compared to us, were giants. The giants, under the rule of Cronos, lived during the golden age, in a time that was free from sorrow or care and everyone lived happy and joyous lives. It was only after Cronos’ son Zeus fought for control of both the heavens and the earth that everything changed. Zeus in his new role, according to Greek myth, put the giants to work. It was just a matter of time before the giants starting ignoring the god’s mandates. They were no longer prostrating themselves to the will of the gods. Their lack of complete servitude and their failure to comply with the gods demands incited the “children of god” into a full-blown rebellion against the heavenly gods. Heavy losses were taken on both sides, but the gods finally suppressed their revolution. A truce was declared. As part of their reparations to the giants, it was decided to create a new race to handle the burdens that were cast upon the giants – man. These newly formed earth-gods lived as men and women and labored in search of food. After some time, the Earth-gods began to think that this work was below their station. They were, after all, the children of the Sky-father and Earth-mother. They asked their mother Citlalicue to make race who would serve them and bear the burdens they faced. With the help of Citlalicue, mankind was created. Based on these mythological traditions it seems clear that the earth-born giants, the Nephilim, existed long before man first inhabited the earth. Thus when you read the line “The Nephilim were on the earth in those days – and also afterward” it seems clear, from this perspective that the authors were not vague. Instead, they were just making a statement of fact – that the Nephilim, the earth-born were on the earth at that time. Were The Nephilim The Sons Of God? So who were the offspring of the sons of God and the daughters of man? The Hebrew Bible refers to them as gibborim. The inferred meaning of this word is men of great stature, heroes, men who are valiant or brave. The Greek Septuagint identifies them as the renominati or men or renown. In Greek mythology, the gods have a long history of having relations with humans. The names of some of these “demi-gods,” or semi-human individuals, whose names have withstood the tests of time include were Hercules, Perseus, Achilles. In India, they are called Hanuman and Garuda and in Sumer Gilgamesh and Adapa. Interestingly, a parallel myth to this biblical narrative does exist. It comes to us from the pages of the Hindu epic the Ramayana. 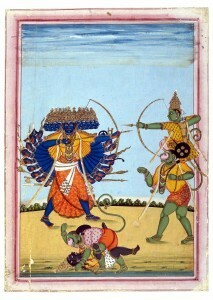 The Ramayana is the tale of Rama, the 7th avatar of the supreme god Vishnu. Rama lived during the Treta Yuga. It was an age where the world was filled with giants. Around the time of Rama’s birth, Vishnu, knowing what was in store for Rama requested that all of the gods descend to the earth and mate with the monkeys, apes, and bears. This request was made in order to, when the time was right, to provide Rama with an army he could use to help him conquer Ravana, the giant demon king of Lanka. The offspring of these unions obtained an array of impressive skills from their divine parents. 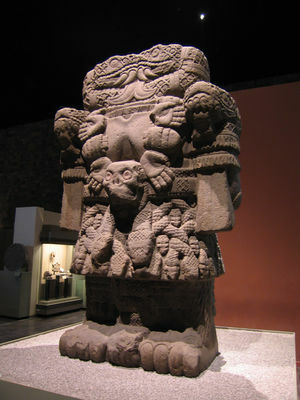 The mighty Sugríva was the ruler of the semi-divine ape-men, the Vanara. His father was Surya, their chief solar deity. The demi-god Hanúmán was the son of the wind god and is described as being able to travel very fast, while Nala was the son of the god of building and construction and is the Vanara who helps Rama build a bridge from mainland India to Lanka. Are the Nephilim the offspring of the sons of God and the daughters of man? No. They were the race of earth-born giants who lived before the creation of man. They are the ones who revolted against the gods in antiquity. The Nephilim are also the ones responsible for the creation of mankind. Additionally, based upon the references that come to us from the Ramayana it does seem clear the when the gods mated with “ape-men” that their offspring were men of renown, heroes or individuals who are valiant or brave. Tagged bible, daughters of man, Genesis, giant, giants, myth, mythology, nephilim, Old Testiment, Ramayana, sons of god.